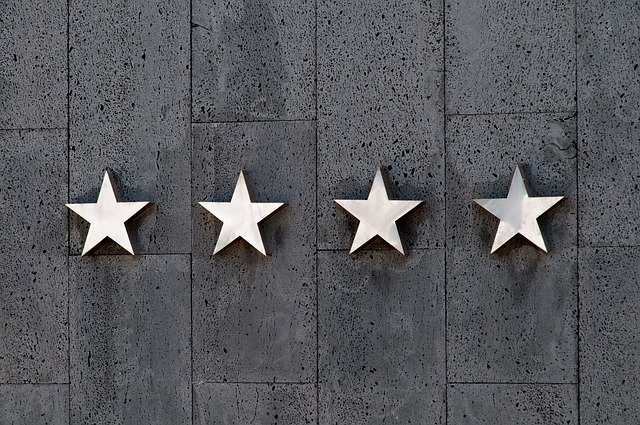 The one thing we love about reviews is that they are great indicators of where our software stands. They let us know if we’re hitting all the right spots for companies and businesses across the board. This is why we’re happy to announce that FinancesOnline, a leading software review platform for the B2B and SaaS market, recently put the spotlight on Able2Extract Professional with an expert review that awarded the software with two notable distinctions and a position in the Top 50 of their Document Creation Software category. Now, FinancesOnline knows their audience extremely well. Their expertise is built upon years of connecting with business professionals. And because of this, they set a high bar for any tool they identify and recognize with a review. To say that we’re honoured to have Able2Extract reviewed and added to their software directory is an understatement. The detailed Able2Extract Professional features review FinancesOnline put together for us is above and beyond our expectations. Like they do with all the software tools they analyze, FinancesOnline took an indepth look at each and every one of Able2Extract’s features and the role they play in the bigger picture of office productivity. Their review recommends when and where Able2Extract’s features are the most useful for business users. In the review, they highlighted the benefits users could expect from Able2Extract and we were happy to see that those benefits were all provided by Able2Extract’s main heavy-hitting features. Custom PDF to Excel– Manually add, delete or move rows and columns. Manage, name and control multiple tables for extracting data more easily across a span of pages. 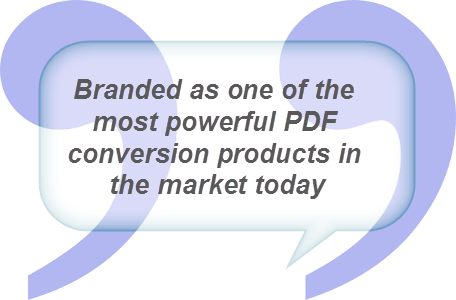 Save your customized conversion as a template for converting similarly formatted PDFs. Users can even preview conversion results before the conversion takes place. PDF Annotation – There are 10 annotations that can be added and inserted onto PDF pages, including watermarks, sticky notes, stamps, underlines, highlights, comments, squiggly lines, text, comments and more. Redaction – Users can permanently blackout sensitive and confidential information from PDF documents such as statements and invoices. PDF Page Editing – Modify pages in your PDF – move and delete, rescale and resize or insert blank and rotate pages. Through PDF page editing, users can split PDF files and merge multiple PDFs together. Bates Numbering – Users can insert and customize their own bates numbers for professional indexing of business, medial and legal PDF documents. Able2Extract lets them customize text, sequence, and formatting of bates numbering stamps. Edit and Create PDF Forms – Users can turn static PDF forms into interactive ones by adding text boxes, radio buttons, checkboxes, combo boxes, push buttons and list boxes to them. PDF form creation is also possible, allowing organizations to customize and create PDF forms and collect that data on their own servers. Fill in PDF Forms – Able2Extract automatically detects PDF form fields and allows users to fill them out and submit the PDF form or save them for later. Thanks to their expertise, B2B users are able to get an idea of what Able2Extract Professional brings to the table. We’re glad to know that Able2Extract is on the right track, meeting the needs of users on the highest of business levels. Their review also pointed out scenarios in which Able2Extract would be able to help. In most cases, B2B and SaaS users in search of software solutions may not know what will work for them or what features would best suit their needs. This is especially true for businesses that are still wondering about what is document creation and how it can enhance their operations. But FinancesOnline nailed down it down for them. They put Able2Extract’s custom PDF to Excel conversion, scanned PDF conversion, and PDF text editing capabilities into context with scenarios their audience would be able to relate to. Overall, the feedback in their review is a great sounding board for us as a PDF solutions provider. And it doesn’t stop there! Further cementing our place in their ranks, FinancesOnline awarded our software with awards of distinction. Able2Extract Professional was rated an 8.0 (out of 10) right out of the gate by their SmartScore system and honoured with two exclusive FinancesOnline awards – the Great User Experience and Rising Star Awards. The Great User Experience is given to products based on how easy they are to use and how well-designed its interface and features are for accomplishing everyday tasks. And the Rising Star award is given to SaaS tools that are gaining good traction among their members, that are increasingly popular, and that are seen as efficient at solving common productivity problems. These awards are in addition to a place in the Top 50 of their Document Creation Software category. Now if that doesn’t make for a great reception, we don’t know what does! We’d like to thank FinancesOnline for their recommendation and for recognizing Able2Extract Professional’s capabilities. If you’re still sitting on the fence about whether or not you want to invest in and try Able2Extract Professional, take a detailed look at their review and how their experts compare it against other PDF tools out there. The New Able2Extract Professional 14: Sign PDFs, Perform AI-Powered Excel Conversions And More!